If you are using Microsoft Office 2013 and use Outlook as client default e-mail, You probably noticed that when minimizedIt remains present in taskbar. 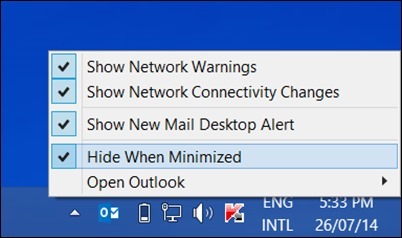 If used to keep Outlook open all the time and wish that instead of distract from the Taskbar it to be hidden in system tray (Or the Notifications area of ​​the system) to minimize, you can do so by following one of the methods below. 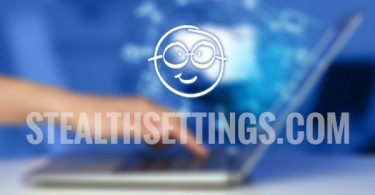 How can we hide the System Tray in Windows Outlook? The simplest method is to right click on Outlook icon from systray and check the option Hide When Minimized displayed menu. After selecting this option, whenever you minimize OutlookIt will not be displayed and taskbar, Only the Notifications area. After you make these changes, Outlook will always be minimized in the System TrayWhether program (mail client) or the system will be restarted. Success! Note: Before making any changes to the system registry, make a backup or a restore point to avoid any possible consequences.